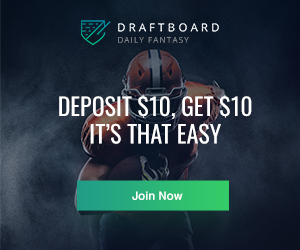 We've been rolling out our series on Expected Draft Values, an innovative new way to find under and overvalued players. 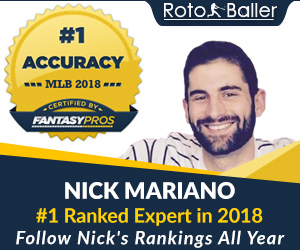 Yesterday, we started with Nick Mariano's look into some undervalued players, we followed it up this morning with Nick's look at overvalued players and then Connelly Doan's look at some under and overvalued first basemen. 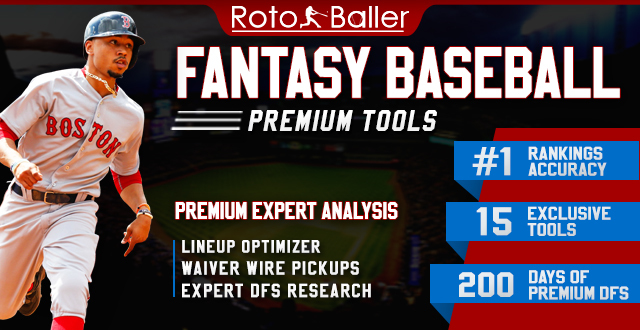 This evening, we're going to keep things going and give you some undervalued and overvalued players at second base. As a quick primer, Expected Draft Value is the value you would historically expect, on average, from a given draft slot. In other words, Expected Draft Value lets you put a stat line next to every pick in the draft... if the player you draft performs better than expected, you get positive value. If the player you draft performs worse than expected, that's negative value. As we all know, a fantasy draft is all about maximizing the potential positive value from every pick. 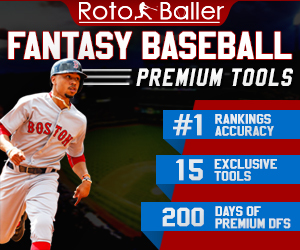 For example, we can say that "if you draft a power + average hitter 97th overall, your Expected Draft Value should be a line of 285-26-76-75-4. That's your 'break even point'. If you draft a player at 97 who performs better than that, you win, are at least put yourself one player closer to winning. For a full explanation of our Expected Draft Value research, see Nick's article's from yesterday, linked above. With the introduction out of the way, let’s dive into some undervalued and overvalued first basemen! Murphy is another player who will be hoping for a late career boost in Colorado. 2018 was a tough year for Murphy as he struggled to stay on the field and managed to hit just 12 home runs in his 351 PA, but did put up a more than useful .299 batting average. Murphy is projected to outperform the numbers we might expect from a predominantly batting average contributor drafted 72nd overall. When you compare Murphy's projections to the expected values, he is projected to slightly outperform the expected values in home runs, runs and RBI, but will lose a little in batting average. A good comparison for what Murphy could do in 2019 is to look at Scooter Gennett's 2018 season. Gennett put up a 308-23-92-86-4 last season and finished ranked 35th overall on the season. Murphy is more than capable of not only matching that but possibly exceeding it if he sees a boost in Coors. Murphy will need to reverse his drop in exit velocity on fly balls and line drives from last season to get back to around the 93 mph mark. If he can do that then the change in park factors could see Murphy top 25 home runs this season. Batting average wise Murphy has returned an xBA around the .300 mark in each of the last four seasons, so penciling that in is a fairly safe floor to his value. Additionally, the move to Coors will also see a big increase in the park factor for batting average when it comes to left-handed hitters. If Murphy can stay healthy this year he has a legitimate chance to get back to the .320 batting average he posted in 2017 with the Nationals. As a final kicker, he is also projected to hit third between Nolan Arenado and Trevor Story, which could see him blow the projection of a combined 165.5 runs and RBI out of the water this season. If Murphy does benefit from the Coors effect then he could end up being one of the steals of draft season in 2019. Shaw is a hitter who very much divides opinions in 2019. However, you do not find many hitters who are eligible at second base and can give you more than 30 home runs. The biggest win when you are looking to draft Shaw is the return that his batting average offers. Shaw is currently projected to have a batting average .014 higher than what we would expect from a power hitter drafted 95th overall. To put that into context his numbers are closer to the return we would expect from a hitter who finishes in the mid-80s in fantasy rankings than the mid-90s. The biggest concern with Shaw is the way his batting average has yo-yo'd the last four years. Twice he has hit for an average above .270 and twice he has been between .240 and .245. The slightly concerning thing is that his xBA has pretty much always been around the .245 mark throughout his four years in the majors. However, when you look at what we would expect from the 95th hitter off the board, even Shaw's worst return on average would simply present exact value for his draft position. Additionally, at this point Shaw feels almost locked in to hit around 31-32 home runs this season, having done that in each of the last two years. In both of those years, his Statcast numbers have been fairly similar, so it should be no shock to see him repeat those numbers. However, given that 2019 is likely to see Shaw remain at third base for the majority of the season, that stability could mean we see a slight increase in performance at the plate. When playing third base last season, Shaw hit for a .255 batting average, as opposed to a .223 batting average when he was at second base. The upside here is not huge, but the eligibility at one of the weakest positions in fantasy baseball makes Shaw worth the reach a round earlier than his current ADP might suggest. The desperation for steals in fantasy baseball has led to what appears to be an extreme overvaluing of Merrifield. In 2018, Merrifield stole 45 bases, while hitting 12 home runs at a .304 batting average. In order for Merrifield to return his current draft day value, based on our draft valuation numbers, he would essentially need to repeat the numbers he put up in 2018. However, the majority of projection systems do not believe that Merrifield will repeat either his batting average or steals prowess in 2019. In terms of stolen bases, it simply comes down to opportunities. Last season, Merrifield was successful on 45 of his 55 stolen base attempts, while in 2017, it was 34 of 42. Merrifield ranked 51st in sprint speed in 2018 (92nd percentile), a number which suggests that if they let him run 55 times again, then he should steal 40 or more bases. However, just stealing the bases is not enough, as Merrifield needs the batting average to go with it, because 13 home runs is not a significant enough number to boost any value lost through batting average. The entirety of the value question comes down to whether Merrifield can repeat his batting average numbers from last year, which most projection systems do not believe. The Statcast data backs up the projection systems, as Merrifield has never had an xBA above .278 in three-year major league career. His speed does mean that he should be able to outperform that xBA once again in 2019, but to do it by the same extent that he did in 2018 is a stretch to expect. In 2017, Merrifield had a batting average of .288 with an xBA of .277, which is closer to the difference between the two values that you would expect to see. Hypothetically, if Merrifield stole 40 bases, hit around 13 home runs and hit for a .280 batting average, then his comparative value would be to Jose Reyes in 2012 and Starling Marte in 2013. Both of those hitters finished outside the top-50 overall in fantasy value, suggesting that Merrifield is going a round or two too earlier in 2019 fantasy drafts. Albies is one of the hottest names in baseball right now. The young Atlanta hitter broke out last season with 24 home runs, 16 stolen bases and a .261 batting average. Those numbers have seen Albies become a hot commodity in drafts this year, but his price has now reached a point where there is no value left, and if anything drafters are overvaluing him. At a 59 ADP, you need a studly 5-category line to justify the cost. Of the five categories above, arguably the two most important for Albies to not fall below are batting average and steals. Unfortunately, he does not make the grade at either of those. Albies hit just .261 last season, but his Statcast xBA was just .247. That presents a big reason for concern. Now the positive is that Albies is likely to return expected numbers at R, RBI, and HR, but BA and SB will be a struggle.It is the combination of the power, average and speed that makes Albies worth drafting, along with solid R+RBI totals he should see in a good Atlanta lineup. 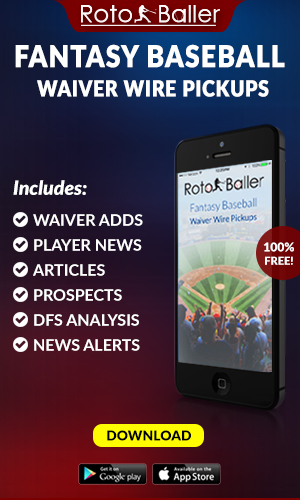 However, you don't want to just break even at 59th overall, you want to have some room for profit. It's a shame his ADP isn't closer to 90, because that's about the point where he would represent solid value.